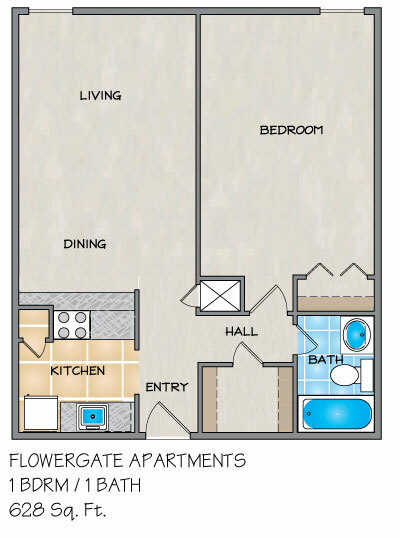 Please send me more information about Flowergate Apartments. Monday - Thursday 8:30 a.m. to 6:00 p.m. Friday & Saturday 8:30 a.m. 5:00 p.m. Sunday By Appointment Only. 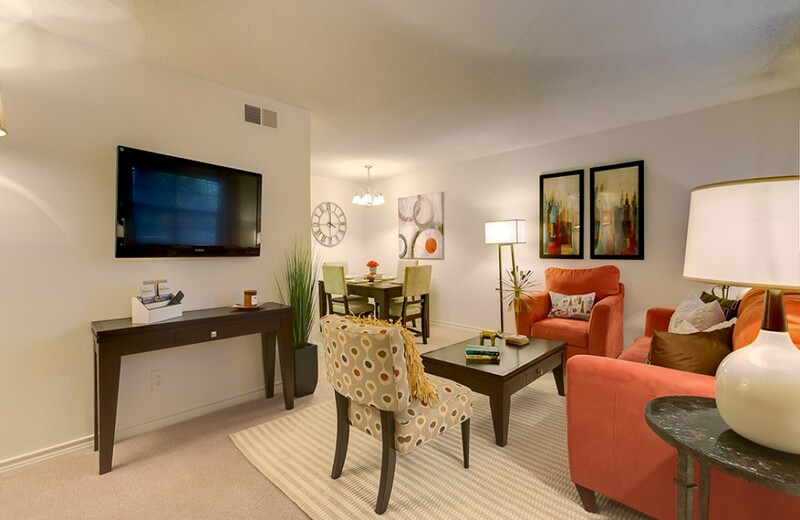 Here at Flowergate we know you'll fall in love with our totally renovated interiors, including washers and dryers in every apartment home. 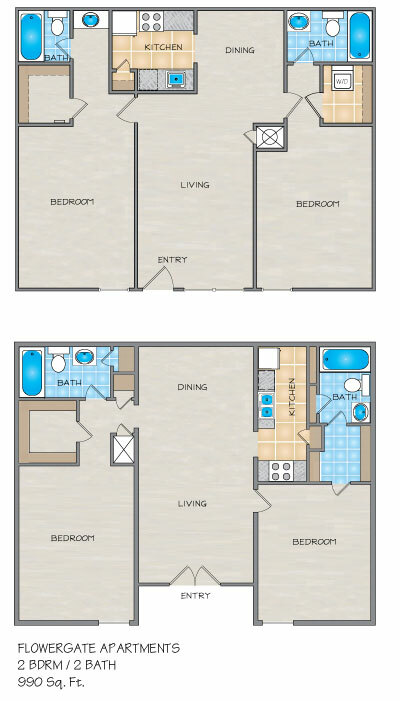 You have the option to choose from multiple floor plans in one, two and three bedroom apartments for rent. Like space? Walk-in closets, large pantries and generous counter space abound in your home. 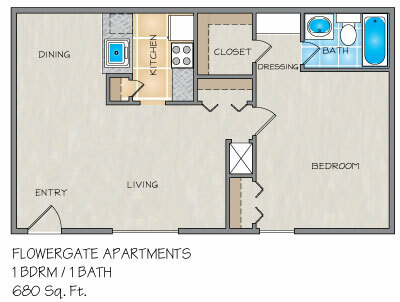 Best described as a unique community, Flowergate Apartment Homes is a gated New Orleans area community that earns the title "best location in Metairie". Tree shaded paths, sparkling pools and beautiful blooming gardens create a park-like environment to your home. 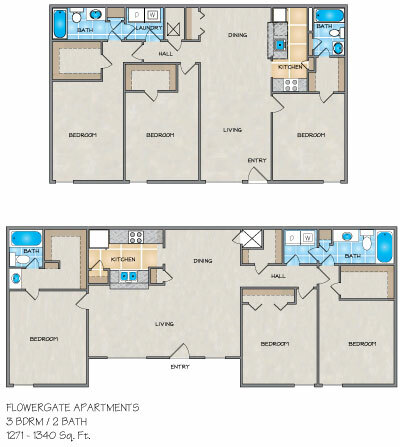 Yes once again options...numerous shopping malls, movie theaters, entertainment centers, supermarkets, and even 155-acre Lafreniere Park are minutes from your home at Flowergate. 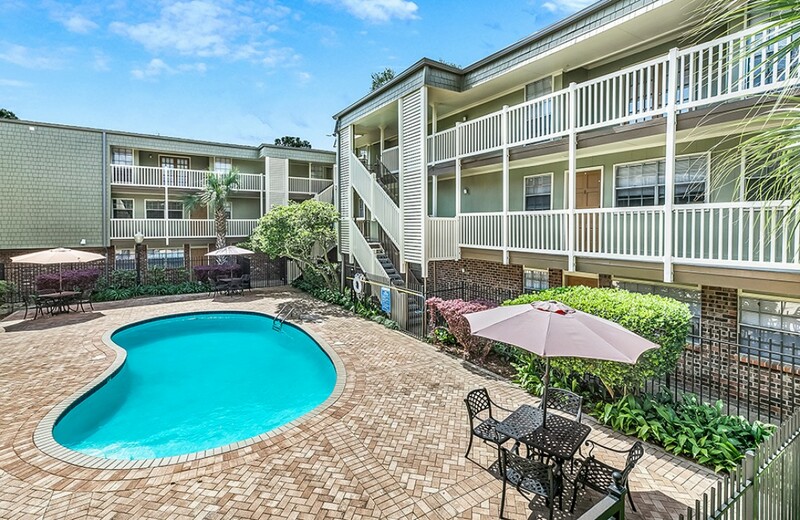 Convenient to downtown New Orleans, Metairie Central Business District and New Orleans area universities, Flowergate Apartments is the best place to call home. Only at Flowergate you will get nothing but options...they're yours...and only at Flowergate. Y’all are the best thank you very much for the help in making the apartment safe for my elderly mother. And also for addressing the to do list immediately. Ashley & Christie help was so welcomed normally with some apartment companies they only worry about getting you signed up. But these ladies were such a blessing. They went so far to help in making the apartment handicap friendly. Cindy the Manager is fantastic, Stephanie and Ashley are always stellar and personable. Love the new upgrades in every aspect of the property. Its always quiet. Safe, family friendly, peaceful I love living here. I feel so lucky every day that we have an apartment in this beautifully kept,safe, nicely gated apartment complex. 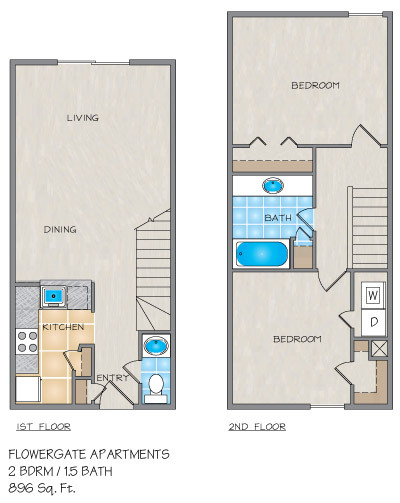 Not only is the price wonderfully reasonable for a newly remodled 3 bedroom apartment, I always feel like I am getting what I expect from an apartment community. Maintenance is timely and polite, the office is always open in business hours and responsive to my requests and questions. Sterling, who works the grounds, is particularly attentive to the interests of residents. I never feel unsafe even with my small children, and I can easily get anywhere on foot or by bus. Another feature that I love is that it is quiet. I never hear my neighbours,and they don't complain of my kids noise level, the walls keep sound out. I can relax. I highly recommend flowergate. You will get all that you pay for and more from this hard working, professional staff and this peaceful well kept community. I've had a wonderful experience at this property. First and foremost, the property has been upgraded with a new parking lot and more spaces available. In terms of maintenance, Cindy and her team has always done a great job of fixing any/all issues with my apartment. The staff is friendly and always available during office hours, and are as professional as they are personable. I would highly recommend this property! 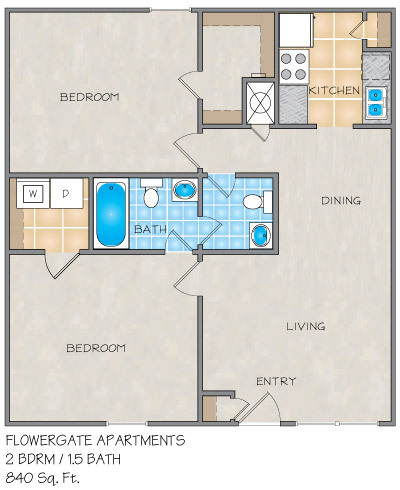 I have lived at Flowergate for just over a year and this has been by far the best experience I have had renting. The grounds are kept clean, the location is super convenient, and the my studio is fully updated at a good price. The maintenance follow up is fast and they get the job done. The staff is all very friendly/professional and the manager has this place running smoothly. The property manager really cares about her residents and this property and it shows. The property looks great and the parking lot has been recently been redone. Overall I love living at Flowergate and i highly recommend this place! Great Customer Service Flowergate was very accommodating and customer friendly. I contacted the leasing office to move into an apartment in lease than a week. They processed my application within 24hours and I was approved. To go even further, I moved in on a Saturday and wasn't going to make it by the time they closed and the office was closed on Sunday. The office staff made special accommodations so I could still move-in when I arrived 3 hours after the office closed for the weekend. The customer service and professionalism continues to be phenomenal and would highly recommend staying here. The neighbors are really cool too!